Peacehaven Bed and Breakfasts. Compare latest rates and Live availability for all your favourite places and places you have always wanted to go using our new My Shortlist feature. Click + to add to your Shortlist. Bed and Breakfasts in Peacehaven, East Sussex for 1 night from Sat Apr 20, 2019 to Sun Apr 21, 2019 within 10 miles, in an Average Nightly price range of £1 to £200. 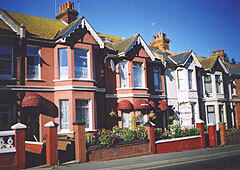 Small, friendly, family run B&B close Newhaven to France ferry terminal and a few miles east of Brighton. Excellent deals for family room share from £25 per person per night. A comfortable and friendly B&ampB situated right on The south Downs Way only 3 minutes walk to the heart of Alfriston Village. Separate living\dining room with free wifi and large TV. Hearty breakfasts and home baking. A perfect walker&#39s rest. On the seafront in the heart of vibrant Kemptown opposite Brighton s famous Palace Pier an award-winning accommodation in stylish newly decorated rooms. The Amsterdam Hotel offers a selection of large newly decorated rooms to suit all budgets. Stylish modern and sophisticated all of the rooms have large en suite walk-in shower rooms and LCD flat-screen TVs with Free view digital channels. Some rooms have stunning views over Brighton s famous pier the beach and the seafront.Light and airy the stylish and contemporary bar was completely refurbished in 2016. Looking out to sea the bar has a large outdoor terrace a big-screen music video system and free Wi-Fi. /p p In the heart of Brighton s vibrant scene the hotel is close to all of the amazing restaurants friendly bars theatres shops and of course the exciting nightlife. /p /p Restaurant service from 12 to 20.00. Over 18 s only & no Hen or Stag Parties and no pets allowed. Located 300 metres from The Royal Pavilion and a 5-minute walk from Brighton Pier, One Broad Street offers accommodation in Brighton & Hove. Free WiFi is available throughout the property. All rooms have en-suite facilities. Each room is equipped with a Samsung Smart TV, a 2000 pocket-sprung mattress and a small kitchenette with a fridge, microwave, Nespresso machine and kettle. Brighton Dome is a 5-minute walk from the hotel, while Komedia is an 8-minute walk from the property. The nearest airport is London Gatwick Airport, 37 km from One Broad Street. Built in 1826 the beautiful Royal Albion Hotel is situated overlooking Brighton Pier. Traditionally decorated and furnished throughout it offers character and style. Wi-Fi is complimentary in public areas and chargeable in guest rooms.Two free sessions of 20 minutes followed by cost of �7.00 per 24 hours. The 219 bedrooms are all en-suite and have TV Telephone Hairdryer Trouser Press and Tea and Coffee making facilities. Many of the rooms command stunning sea views and a number also have spa baths. Dining is an experience in Jenny s restaurant with its succulent menu plus you can take in the views over the English Channel. Enjoy a drink in the Pavilion Bar or the Regency Lounge to relax and watch the sunset. In addition there are eight conference rooms catering for up to 150 people with first class facilities. Sea Life Centre and Royal Pavilion are some of the attractions near to the hotel. This hotel is pet friendly and have a range of facilities nearby to keep your dog happy and entertained throughout their stay with us. Breakfast can be added at the make a booking stage for �10.00 per person if required. Hotel 360 is a small and quirky hotel situated on Regency Square and a stone s throw from the Eye 360. br / br / br / br / The hotel is just short stroll to Brighton Beach and only a few minutes walk from the Pier Churchill Square shopping mall and the Conference Centre. br / br / br / br / Situated on Regency Square in Brighton close to the beach town centre restaurant and bars our 8 bedroom hotel has an informal and relaxed atmosphere. There is a multi-storey car park right opposite the hotel and a bus stop just 2 minutes from the hotel. Situated in Preston Village, Preston Park Hotel has a 24-hour front desk and a bar, and offers rooms with free on-site private parking. WiFi is available in the hotel's public areas. Rooms at Preston Park Hotel come with tea and coffee making facilities and a TV with satellite channels. All rooms comprise a private bathroom fitted with a bathtub or a shower and a hairdryer. A wholesome breakfast is served every morning in the common dining room, and drinks and refreshments are available in the property's bar throughout the day. Brighton's city centre features a variety of organic cafÃ©s, as well as restaurants and pubs serving British specialities. Preston Park Hotel is located within walking distance from Brighton's largest park and the Preston Park Train Station. The hotel has access to the A23 Road, which connects London to Brighton. The Preston Park Hotel is a small quaint hotel situated on the main Brighton Road ten minutes from the seafront and all city centre shopping. With ample free car parking on site excellent popular restaurant and bar we are your best choice. The Imperial Hotel in Brighton & Hove mixes tradition with a light fresh airiness. Ideally located at the end of the broadest of avenues with its uncluttered outlook by the sea the Imperial is situated alongside the World famous Hove Promenade and Lawns This functional exceptionally good value Hotel is of the Regency period its high ceilings and spacious bar are noticeable as is its calm ambience. The Imperial provides an excellent level of customer service and coupled with a smart bar make it a popular venue Parking is available on the street and surrounding areas using the Council approved residential permit scheme at just �7.00 per day. We also have limited space on our hard-standing at a cost of �10 for up to 24 hours. Just ask Reception about the options we offer The Imperial Hotel is the perfect choice whether you are visiting for pleasure or business! Fibre fast free WIFI is of course available to all guests. Please note that all cash-paying guests will need to pay an additional security deposit of GBP 200 at check-in. A pre authorization of �50.00 per room will be taken on arrival from all guest paying by debit card or credit card. Situated on a tree-lined avenue, Langfords Hotel is just a few metres from the shingle beach of Brighton & Hove's historical seafront. The shops and restaurants of Brighton's city centre can be reached in a 15-minute walk. It has a lounge bar, a quiet garden and rooms with LCD TVs and free high-speed Wi-Fi. Brighton's famous Pier and historic Royal Pavilion are 15 minutes' bus journey from Langfords. A range of restaurants are within a 5-minute walk, and Hove Rail Station is less than a mile away. The rooms all have a telephone and free tea and coffee facilities. Private bathrooms in every room have free toiletries. On-street parking permits are available from reception, at an additional cost. The lounge bar is open until late and the bar has an LCD TV and access to the garden.